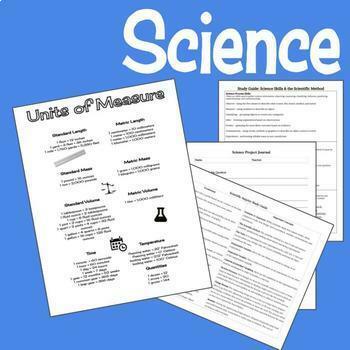 This Bundle of Printables is derived from years of creating student learning tools, references, and aids. There are some that I use every year, and others I print from time-to-time as needed. The majority of resources are oriented for math, but several for language arts and science are included as well. 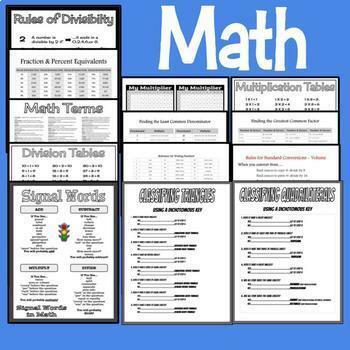 When possible the printables have additional formats for student notebooks and desktops. 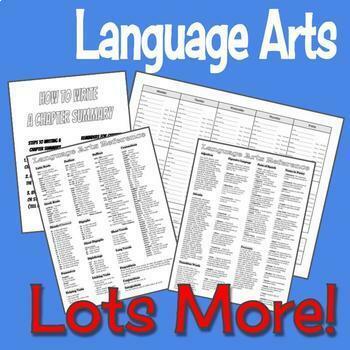 I think you will find lots of useful items for your students. I will be updating the file with new printables frequently! 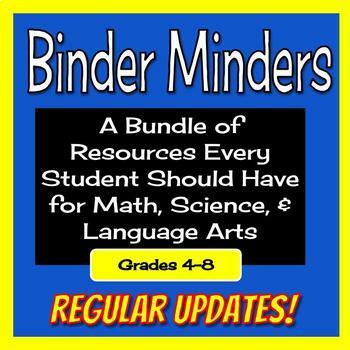 Items listed that aren't currently products in my store are included in the Bonus File - "Binder Minders Annex." OPEN THE PREVIEW TO SEE A FEW SAMPLES!